NetWars CyberCity, our most in-depth and ambitious offering, is designed to teach warriors and infosec pros that cyber action can have significant kinetic impact in the physical world. As computer technology, networks, and industrial control systems permeate nearly every aspect of modern life, military, government, and commercial organizations are realizing an increasing need for skilled defenders of critical infrastructures. We engineered and built CyberCity to help organizations grow these capabilities in their teams. 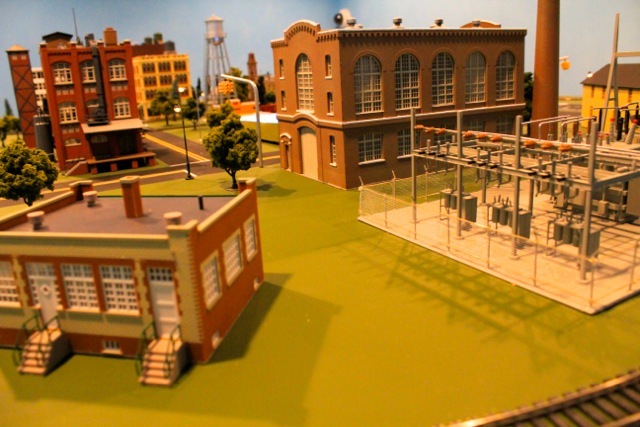 CyberCity is a 1:87 scale miniaturized physical city that features SCADA-controlled electrical power distribution, as well as water, transit, hospital, bank, retail, and residential infrastructures. CyberCity engages participants to defend the city's components from terrorist cyber attacks, as well as to utilize offensive tactics to retake or maintain control of critical assets. Participants engage in missions, with specific operation orders, describing the defensive or offensive goal they need to achieve. In some missions, participants prevent attackers from undermining the CyberCity infrastructure and wreaking havoc, with all the kinetic action captured through streaming video cameras mounted around the physical city. In offensive missions, participants must seize control of CyberCity assets, retaking them from adversaries and using them to achieve a kinetic impact specified in their operation orders. Each mission includes not only a list of goals to be achieved, but also specific sensitive city assets that are out of bounds for the engagement, requiring additional tactical planning to adhere to the rules of engagement. To achieve mission objectives, participants work as a team, engaging in effective mission planning, devising overall strategies and particular tactics, and exercising detailed technical skills. Furthermore, some participants will be charged as leaders of their teams, helping to build and assess leadership skills, decision making capabilities, and the ability to brief senior leadership. Multiple realistic defensive and offensive missions test the cyberspace engineers ability to thwart the best efforts of a well-funded terrorist organization or other cyber attacker trying to control city assets.